This weekend I headed to Miami for a brief respite from NY weather and, for some reason, I was thinking about Robin Leach (perhaps, it was the yacht show). You remember his television show Lifestyles of the Rich and Famous. "Champagne wishes and caviar dreams!" What the hell does that mean??? Where is this show, why is it not still on, and what has replaced it? I am surprised Mario Lopez isn't hosting an updated version! Robb Report, MTV Cribs, and The Real Housewives of Orange County just don't cut it! As a kid watching Leach, I really enjoyed peering (intruding?) into the private lives of the uber wealthy including their private jets, massive yachts, enormous homes and fancy cars. As an adult, I've found the amazing thing about New York City is how anonymous it can be. You don't know (care) where/how people live and/or what kind of car they drive. No one parks their boat in the Hudson. In this week's Loupe, I share some accessible highbrow Finds for the regular man/woman! There is nothing that defines luxury more than art. It is typically very expensive, doesn't earn income, and is exclusive to its owner. Its value is often defined by its scarcity. It is something that few have access to even if they have the money to buy it. These days, art seems synonymous with popular culture as it is present in design, fashion, and luxury items. Many artists are famous and feted around the world. But, art means a lot of different things to different people. The folks at Electric Objects are trying to democratize art ownership and make it accessible to a broader audience. The 23-inch (diagonal) LED-backlit matte display is a perfect place to display art. Rather than having a static piece of art, you can choose what you display from the thousands of objects on the app. I am not telling you to forgo fine art altogether, but this is a nice addition to a collection as it allows the user to engage with various types of art. With Electric Objects, you get access to Museum quality art and artists in the public domain. To be candid, I have sparked my kids interest in art by constantly changing the imagery and talking about it. I think that it is in a format that is more accessible to a younger generation -- an LCD monitor connected wirelessly to an app! Specifically, they were intrigued by the Pop Icon collection by artist Vasya Kolotusha (Little Lil Yachty featured above)! Is there anything more elegant than a classic, beautiful grand piano? I can imagine a shiny black case (open of course), Steinway emblazoned in gold lettering, a plush bench, and the beautiful ebony and ivory keys. There is only one problem ... no one in my family plays the piano. This is no longer a problem with the new Spirio line by Steinway. 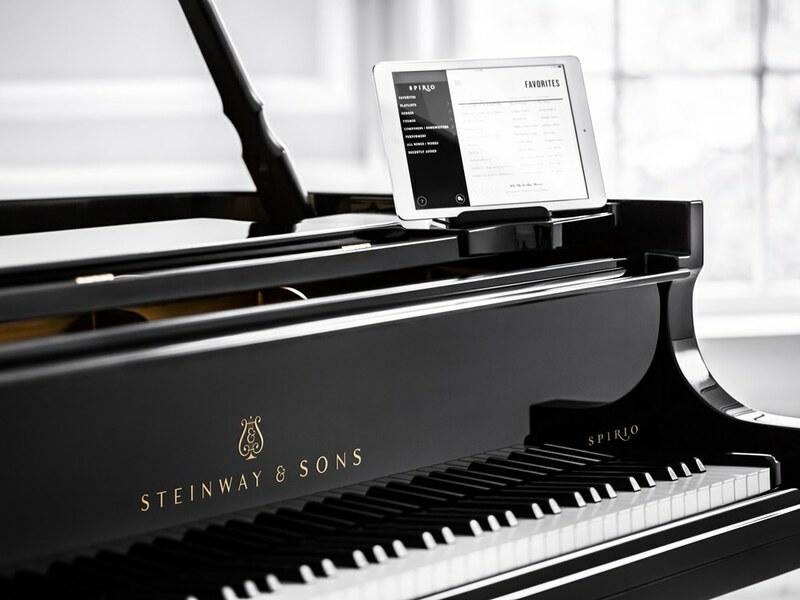 You can choose from great performances (on an iPad) that perfectly replicate performances by world famous pianists. They record the actual playing (think speed, key pressure, etc.) in their studio so they can replay with precision. You can choose from thousands of recorded songs, and they are constantly adding more. If you live in NYC, you will even be invited to hear some of these concerts live at Steinway's performance studio, designed by world famous Architect Annabelle Selldorf. Owning this piano feels like you are in a small exclusive club. Is there any food that is more decadent than Caviar? Is there any food that is more expensive than Caviar? I don't think so! This is literally the place to have Champagne wishes and Caviar dreams actualized! This is a temporary pop up restaurant by the ultimate Parisian purveyor of caviar (depuis 1927), so head over to Caviar Kaspia in NYC while you have time. They do have other food, but you go here for caviar, specifically the baked potato topped with loads of caviar. It's housed in the newly formed private club Spring Place (picture a combo of Wework and Soho House) which you can check out while there. As you are hopefully now aware, we here at the Loupe can go uptown or downtown, highbrow or lowbrow. May you too have champagne wishes and caviar dreams (I still don't know what that means!) and consider Electric Objects, Steinway Spirio, The General Society, and Caviar Kaspia Found!